The Bronx River Art Center is pleased to announce the upcoming presentation of Kirtan: Songs for the Soul, a musical performance and participatory experience led by the kirtan band Tejase. 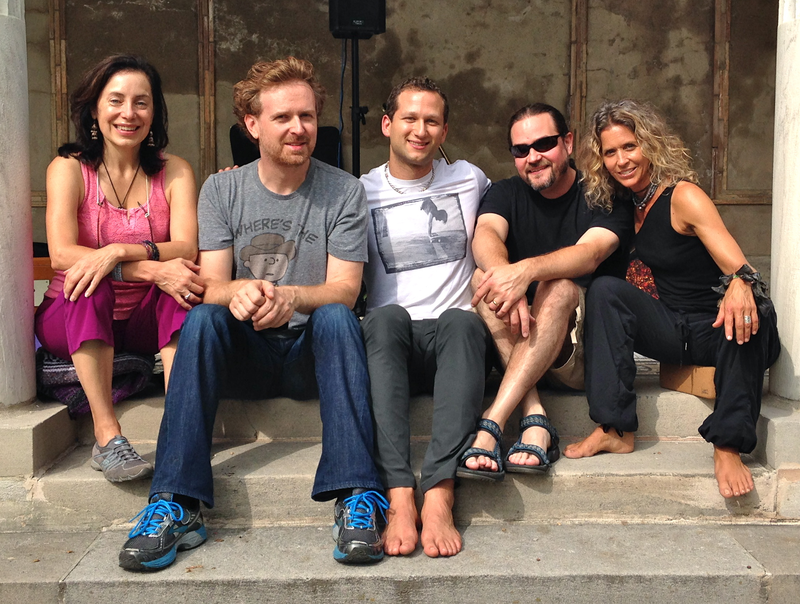 Kirtan is a new kind of concert here in the West, where performers and concert-goers create the experience together. This event will take place at Bronx Music Heritage Center on Thursday, Dec. 17th at 7:00 PM. Kirtan began in India centuries ago as a spiritual practice, and was known as the layman's way to connect with the Divine. In the last ten years, kirtan has become a phenomenon across the United States, and has transformed to appeal to the ears of American audiences. As a simple and powerful way to meditate, kirtan is accessible and non-denominational, it doesn't have to be a religious experience. The leaders of a kirtan concert are called 'wallahs', they sing a mantra and the audience sings it back. This forms a connection between the audience and the performers, with all voices merging to form one voice. "When the music stops, the mind is quiet." -New World Kirtan. Arthur Rotfeld began playing guitar in his teens, after being inspired by the greats of classic rock. Arthur earned an MFA in the graduate composition program at SUNY Purchase. As a performer, Arthur has recorded a self-titled debut album of original music and a CD of jazz standards entitled Poinciana. 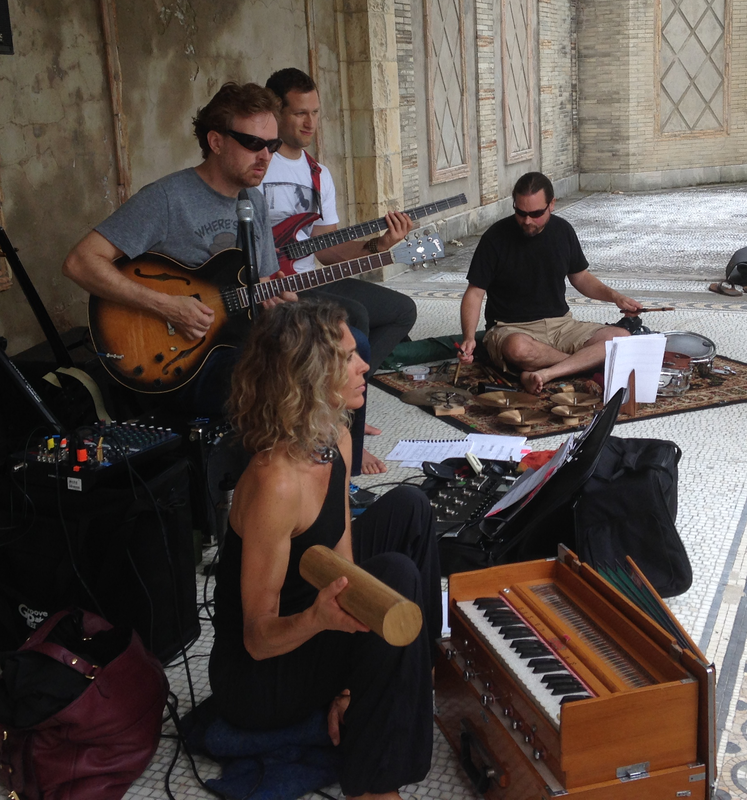 His daily yoga practice spurred an interest in kirtan and he now leads Tejase, a group that plays his original music. Steve Mansfield received a BM from NYU in Jazz Performance and a minor in music business. He authored the book "1001 Drum Grooves" which has sold well world wide. He teaches at Concordia College in Bronxville, NY as well as at his teaching studio in White Plains, NY. Steve has toured in Europe and all over the east coast. Denise DeLuca grew up surrounded by music, her mother is a pianist and as a child Denise fell in love with playing the violin. She started playing the harmonium 10 years ago. She has been a practitioner of Meditation & Yoga for over 20 years and has been teaching for 17 years. In her classes, she plays the harmonium and chants to enrich the experience for students. Ann Casapini recently recorded songs for the short film "Red Thread: The Prisoner and the Painter”, produced and directed by Duston Spear. Last year the film was presented at the Bronx River Art Center, along with live music. Ann is also a Certified Yoga instructor and has been teaching yoga and meditation for twenty years. She holds a B.F.A. from Purchase College and an M.F.A. from the New School for Social Research in Media Studies.